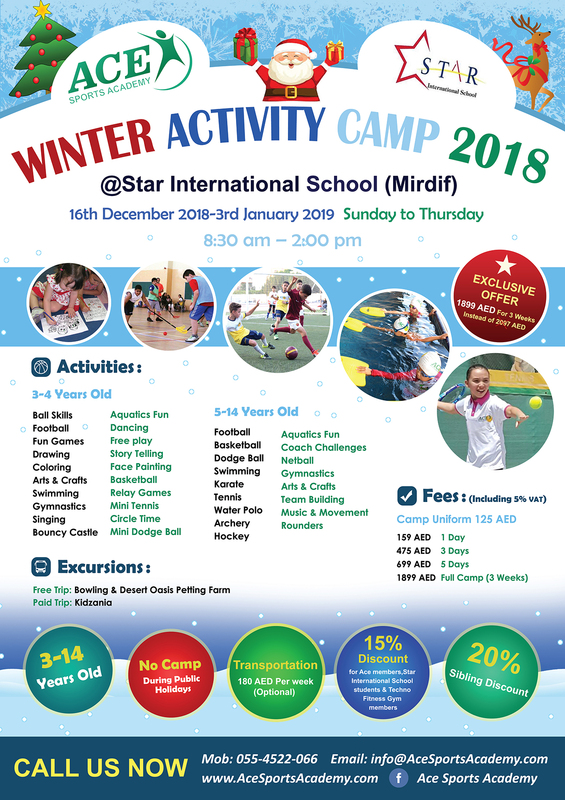 Let your child experience one of the most exciting and fun-filled activity camp this Winter as we are pleased to offer Ace Sports Academy Winter Activity Camp to students age ranges from 3 to 14 years old. 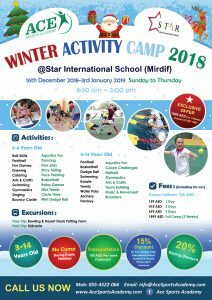 We promise 3 weeks (From 16th December 2018-3rd January 2018) of exciting field trips, fun multi-sports activities, happy moments to be remembered, experiences to learn and lasting friendships. From 16th December 2018-3rd January 2018 / Sunday- Thursday Timings : 8:30 am -2:00 pm. 3. Transportation 180 AED per week (Optional). (FREE Trips) Free Trip: Bowling & Desert Oasis Petting Farm. To ensure your child’s safety, we offer transportation services to pick and drop your child right at your doorsteps. The bus will have a monitor who will remain on board to manage children to and from camp each day. Ball Skills – Football – Fun Games – Drawing – Coloring – Arts & Crafts – Swimming – Gymnastics – Singing – Bouncy Castle – Aquatics Fun – Dancing – Free play – Story Telling – Face Painting – Basketball – Relay Games – Mini Tennis – Circle Time – Mini Dodge Ball. Coach Challenges – Netball – Gymnastics – Arts & Crafts – Team Building – Music & Movement – Rounders. 1- Download and complete the Registration Form. 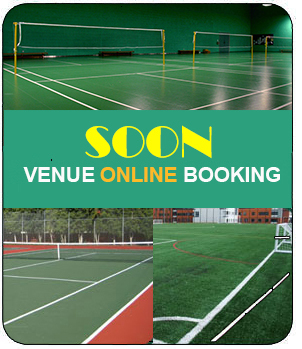 2- Visit Ace Sports Academy office to submit your application and pay the registration fee. For location map please click here. 3- All fees must be paid before attending the camp.